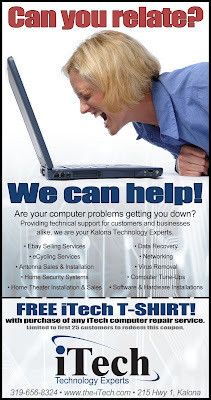 Technology Services of Iowa, LLC: FREE T-Shirt!! Print off this coupon and redeem it at iTech with a purchase of any iTech computer repair service for a FREE T-Shirt! !